ONLINE REGISTRATION IS NOW CLOSED. DONATIONS ARE STILL ACCEPTED. DAY OF REGISTRATION BEGINS AT 7:45 AM AT THE BLUE ROCKS, FRAWLEY STADIUM. Family friendly event with Kids' Corner featuring face painting, sidewalk chalk and games. Prizes and awards! More details. Friend of RMH Registration: Adult: $45 per person; Student $35 per person (until Thursday 4/11 @ Noon). Includes registration fee, short sleeve, gender specific t shirt and RMH red striped socks. Note; Student registration is grade school through high school. Includes registration fee and short sleeve t-shirt (while supplies last). 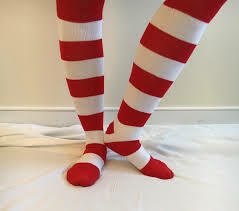 Limited quantities of striped socks and will be available for purchase day of. Course Map 5K scenic course through the Peterson Environmental Center and the Markell Trail. 9 year old Austin and his family were involved in a serious car accident in 2017 where Austin was ejected from the vehicle and landed on asphalt. Austin has a traumatic brain injury. He had to learn to talk again and walk again. Austin and his family stayed at the Ronald McDonald House for many months while he received treatment and rehab at Nemours. 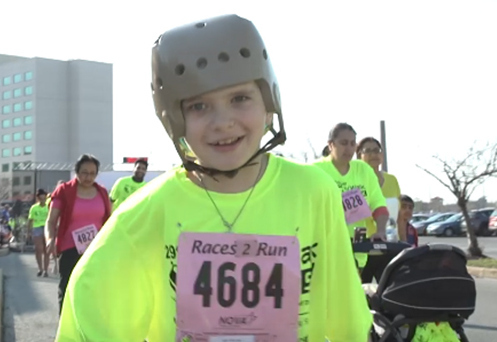 Pictured below is Austin at our 2018 Wilmington 5K. As this year's Family Ambassador, Austin will once again join us and plans to walk across the finish along with his family. Have you previously donated to or fundraised for Ronald McDonald House of Delaware? Log in below with your username and password.